It was the day after July 4th, the summer sun was golden and warm but not overly intense. We had a few extra evening hours both in sunshine and in leisure time, so asked my seven year old daughter if she&apos;d like to go see a baseball game. She looked at me and said, "You mean the one that&apos;s like kick ball?" I realized then that we needed a little more Americana past times in our repertoire. "Yes," I affirmed. 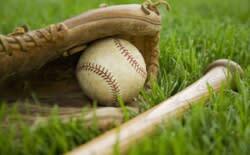 "Baseball does have similarities with kickball but they hit a smaller ball with a bat. You&apos;ve gone to a game before but you were younger." "Oh, okay," she said non-committally. 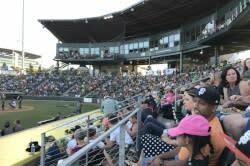 So we scooted over to PK Park and picked up tickets for the Eugene Emeralds vs. Boise Hawks. 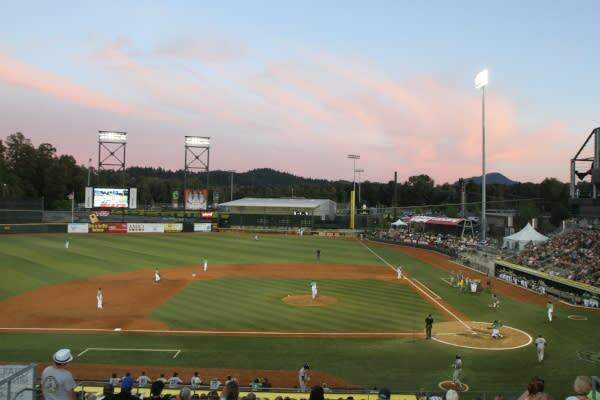 PK Park, tucked into the shadow of the University of Oregon&apos;s Autzen Stadium, is a cozy ballpark by national standards. I used to go to San Diego Padres games at Petco Park and this is a totally different experience. There I felt like I needed binoculars. Here I feel like it&apos;s a backyard game (well, a really, really, really big backyard game). I also like to eat local, so the fact that PK Park showcases local vendors like Ninkasi Brewing Company and Prince Pucklers Ice Cream is a real bonus. It was Kid&apos;s Eat Free night and we were greeted at the gate with a program and a voucher for a child&apos;s hot dog, chips and drink. Cold beer was being hawked and everyone was eating ice cream out of upside down plastic baseball hats. Classic ballpark. We found our seats which were second row right behind the Boise dugout and a large net. I started studying the opposing team, watching their expressions and interactions with each other. I loved how close up we were. I don&apos;t know a whole lot about baseball myself, but the fans around me seemed to be better informed so I eavesdropped on their commentary. Three kids seated next to us and one behind us had their baseball gloves ready for fly balls. I figured we were well covered, and we did have a few exciting moments when everyone lunged for the sky (while we ducked) but no one in our section caught a ball. The foul balls just went out of the park. There was plenty of whoopla and hype between batters and between innings to keep the crowd fired up. 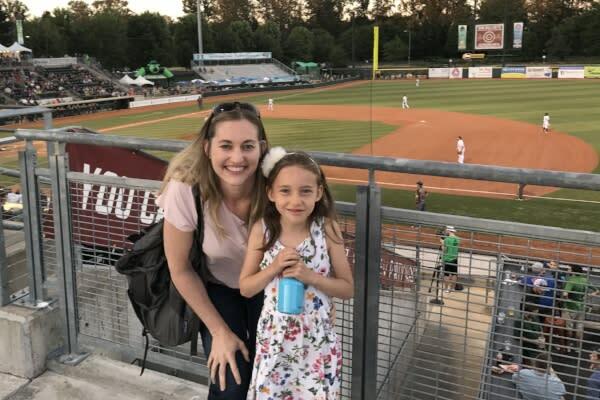 There was the beer batter, an air guitar cam, a free pizza giveaway to the loudest fans, spoofs and contests featuring the Eugene Emerald&apos;s mascot Sluggo, Sasquatch and additional characters brought in for the Harry Potter theme night. 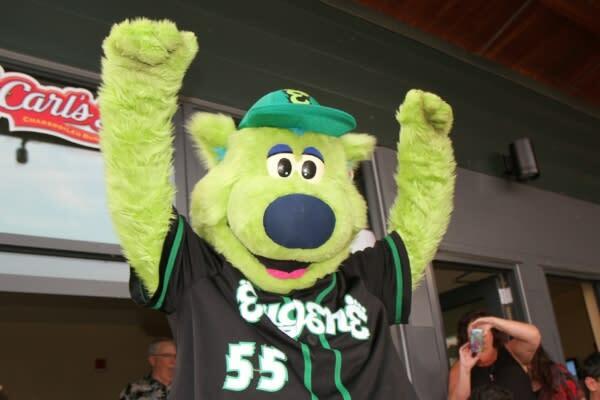 The Eugene Emeralds schedule has lots of fun themes and promotions. Visually there was so much to see from the baseball game itself to the mascots to the crowd watching. Kylie was quite enthralled and picked up on the clapping and chants. She battered me with questions and I bravely, and in hushed tones (so as not to sound like a total fool), did my best to explain baseball. But even if I was getting it wrong, it didn&apos;t seem to matter - it was the experience that was paramount. The sunshine felt so good and washed the stadium in soft, rosy colors. The fans were boisterous but mannered. 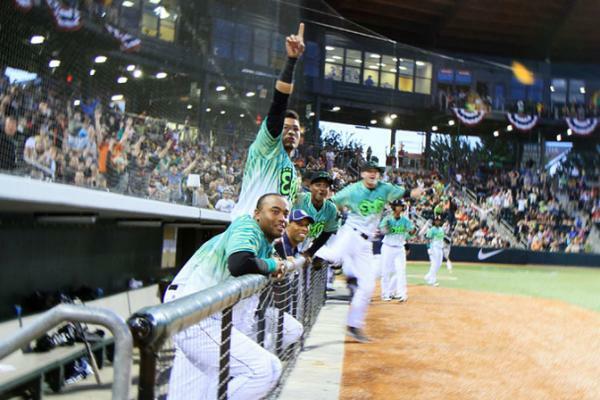 And the Eugene Emeralds, while they weren&apos;t winning, still made some excellent plays. This was an absolutely perfect way to spend a summer evening. I hadn&apos;t planned on staying the whole game, as there was work for me and camp for her the next morning, but I had not imagined we&apos;d both be so reluctant to go. Several hours flew by as I mentally released evening chores from our nightly routine until there was nothing left but going straight to bed as soon as we returned home. Ahhh... but it was worth it. Memories were made and now I know that if I ask my daughter "Do you want to go to a baseball game? ", she won&apos;t look at me mildly and mumble something about kickball... no, she will jump up and shout, "Yes!" I&apos;d better start shopping for a kids&apos; glove.